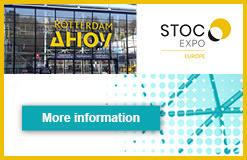 Meet Lucas Ribeiro and the Implico team at StocExpo Europe 2019! Discover the full breadth of services and solutions Implico offers for the downstream supply chain. 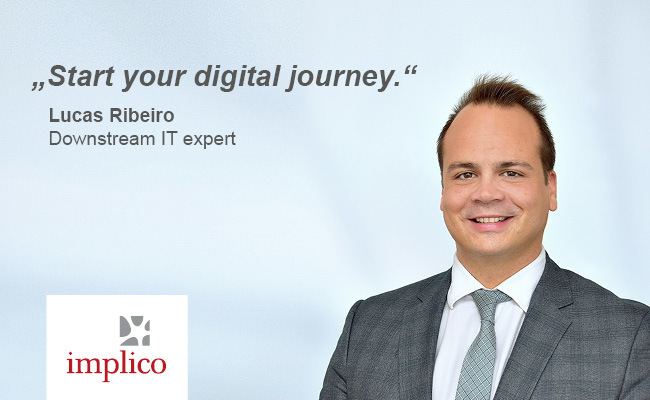 Our Downstream IT expert Lucas Ribeiro will be available for you together with his colleagues! 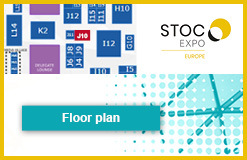 StocExpo Europe 2019, 26. – 28. März 2019, Rotterdam. Stand J10! Follow us for updates from the show! Experience digital transformation live at StocExpo Europe from 26 to 28 March 2019: At stand J10, tank farm operators and Implico will jointly embark on their journey into the future of the downstream industry. Discover next-generation terminal management and completely redefine transparency, efficiency and connectivity: OpenTAS is the TMS with the broadest range of features and the tightest ERP and SAP integration worldwide. We will showcase the latest stage! Take data communication for your entire supply chain to a new level – with our iGOS cloud solution. Our handheld application and the TCP-X Unit enables you to combine robust hardware and intelligent software to enter the world of the Internet of Things (IoT). We show you best practices for using the SAP downstream solutions SAP S/4HANA Oil & Gas for Secondary Distribution Management (SDM) and SAP S/4HANA Oil & Gas for Retail Fuel Network Operations (RFNO). As a long-standing SAP partner, we are responsible for developing both products. Automated processes powered by the terminal management system OpenTAS.